Portable power provider mophie has launched a new product (via SlashGear) called the Powerstation with Lightning Connector. Packed with a 5050mAh battery, the $59.95 accessory can deliver enough power to run an Apple iPhone X for 20 hours, a 10.5-inch Apple iPad Pro for 4 hours, and an Apple iPad mini 4 for 7 hours. Unlike most power banks, this particular model features a Lightning port, allowing iOS users to recharge the Powerstation with the same cable they use to charge their Apple device. This means that iPhone/iPad users no longer have to carry around an extra cable just to charge the power bank. 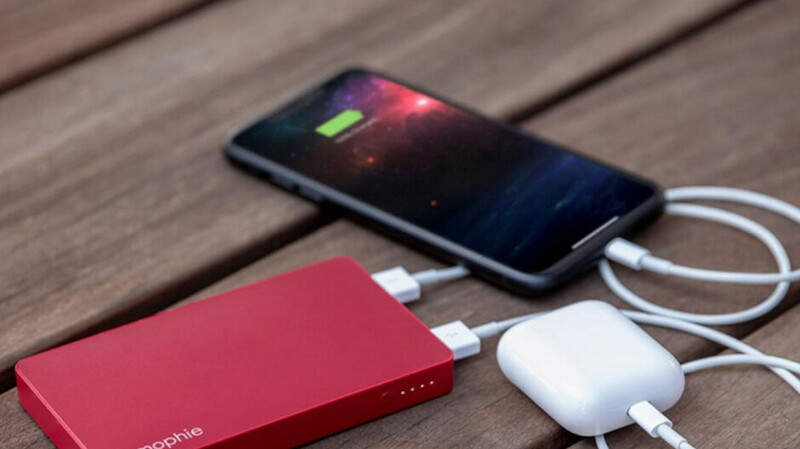 The Powerstation with Lightning Connector is available in three colors, Black, Space Gray and Red. With the Priority+ Charging feature, when the unit is plugged into an outlet, it will power a connected device first before charging its own battery. In addition to the Lightning Connector, this Powerstation sports a pair of USB-A ports, one with 10 watt fast charging capabilities, and the other charging at 5 watts. These can be used with USB-C, micro USB, and Lightning charging cables, which means that this Powerstation can charge all USB devices. And, it can charge multiple units at one time. A four light LED power indicator gives you the charging status, and reveals how much battery life remains on the Powerstation. The unit carries a two-year warranty and would make a welcome gift for that iPhone clutching power user in your life, even if that person is yourself. I expect 10,000mah got that price. Pass. I don't think that that was a mistake. I think it was totally intended. That's where modern-day journalism has drifted to—clickbaits.